My Dad was in the city for a few days, he had more appointments. Dad managed to stop in on me twice for tea. My kids and I where very thankful for that. The visits where short but packed full. We shared tea and conversation and, most importantly, we shared time. On his last stop in, before he was to head home, he brought me in a CD of bagpipe music to listen to. I don’t always think of myself as a Scotswoman, but when I hear the mournful song of a good bagpipe player I am always moved more then just could be pure coincidental… I am reminded there is a reason this music strikes me to the core… I am Scottish. 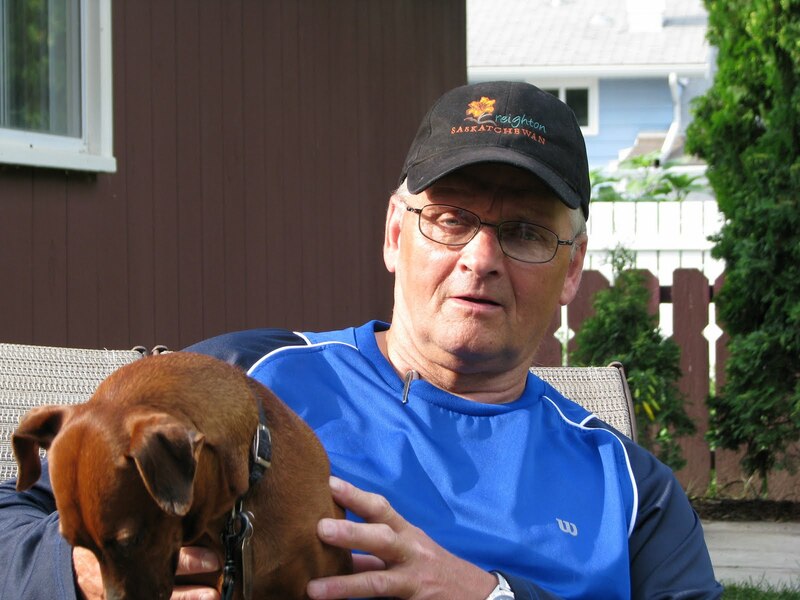 Dad put on a favorite hymn and when the strings and piano joined in with the pipes he started to tear up… his face took on a very serious but soft look to it and I could tell he was drawn into his own mind and his own memories. He simply said “This reminds me of my Grandpa Munro.” His voice cracked as he said his grand-dad’s name and he switch to his Scottish accent to give the family name flare and, I imagine, respect as well. The music had stirred a pressure up in my chest and the sight of my father fighting with emotion threw my heart up into my throat. I couldn’t respond. I simply nodded and stayed quiet. The verse mentioned above crashed into my consciousness and I just about cried. I don’t know if I can explain the relation but I felt like I understood that verse so much more. The verse is talking about when God’s Spirit, the Holy Spirit, is poured out on all flesh… the old men will dream dreams…perhaps it is talking about dreams beyond our world of selfish desires, our self centered world that is for the young and is YOUTH… Old men are gifted with the ability to look back and remember…then look forward and dream of the eternal… the Holy Ghost filled old man can see IT clearer, it is more natural for him to dream of eternity then for the youth. The young will prophesy, they are really meant to be of now, focused on the kingdom of God here and now. I say with all love, let the old men dream. The moment was just that, a moment, and then he had to fly. This is such a busy season for him and Mom. I felt like this hymn oozed spring and May has always been the most springy month in my mind. It is when I really start to believe the snow will not return. It is when I clean up my gardens and eagerly prepare to plant. This year we have had SO MUCH RAIN and it has been so refreshing to see everything out side so healthy. My niece then said ‘I has a cwack.’ and pulled up her pant leg, showing a scratch on her knee. On his last stop in, before he was to head home, he brought me in a CD of bagpipe music to listen to. I don’t always think of myself as a Scotswoman, but when I hear the mournful song of a good bagpipe player I am always moved more then just could be pure coincidental… I am reminded there is a reason this music sticks me to the core… I am Scottish. Dad put on a favorite hymn and when the strings and piano joined in with the pipes he started to tear up… his face took on a very serious but soft look to it and I could tell he was drawn into his own mind and his own memories. He simply said “This reminds me of my Grandpa, Robert Munro.” His voice cracked as he said his grand-dad’s name and he switch to his Scottish accent to give the family name flare and, I imagine, respect as well. … will not be my last. How often is the actual traveling part of a trip so relaxing and nice that you can hardly wait to get back on the road again? Hasn’t really been that good for me before the train experience. With chairs that fold out so you can lay in them, pillow, blankets (provided by via) and that constant motion and mournful horn to rock you to sleep how can you go wrong? I love napping so it was right up my alley. I traveled down with my older brother and his family but home alone. Their little one kept them very very busy, she is so cute, so on the way home things where a lot quieter. I managed to stay awake enough to watch a movie on the way out to Winnipeg and read ‘Mere Christianity’, for the first time, on the way back. 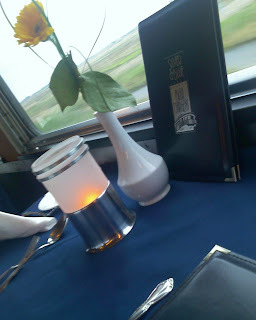 Explored the skylight car and took in one gourmet meal in the dining car just for the experience (SO WORTH IT). Took in the dining on the way home and I was seated with a couple from the states and a woman my age from Manitoba. I had the duck and it came with garlic roasted potatoes, plenty of veggies, blue cheese and pear salad (MY FAV), onion soup, fresh bread and coffee and a BIG piece of cream cheese iced carrot cake, phew, it was FAB! There are many reasons for me to sing the praises of the train and many reasons to be sad that it appears to be dying in this lovely country of ours. We have one of the most famous train routes in the world (cross Canada and through the mountains) and yet we are kissing it good bye:( Riding the train was a childhood dream of mine and now that I have done it I realise it is easily with in reach and will do it again! P.S. More to come about my actual time in Winnipeg, it was really quick but lovely. Took in as much as I could with only a bit of time Friday morning and Saturday morning but enjoyed it all! Stay tuned for my Winnipeg story. The above quote said it all for me, well, only in regards to train travel do I feel this way. Just being on the train makes me happy and relaxed, regardless of the destination. This stormy little soul is entitled to her bright days too, you know, one of those days where you just feel happy and it all bounces off of your genuinely happy self. Got so much done today and had a few things hit that would usually make it all come crashing down for me…family came through and it all worked out and I didn’t get stressed to prove how much I care! I am feeling so loved today! Big Boy got sick at school while I was across town and the kids Grams came to my rescue without a thought! Auntie Mirelle took Little Woman for the afternoon at the drop of a hat to help me out and I couldn’t help but drive home smiling! I am surrounded by people who REALLY DO care about little old me and I am so THANKFUL! This is me taking note because most of my posts are about the struggles lately… this is me taking note of the love that family surrounds me with. Love is the reason you hang on to family, forgive family and even put up with and are put up with by family. 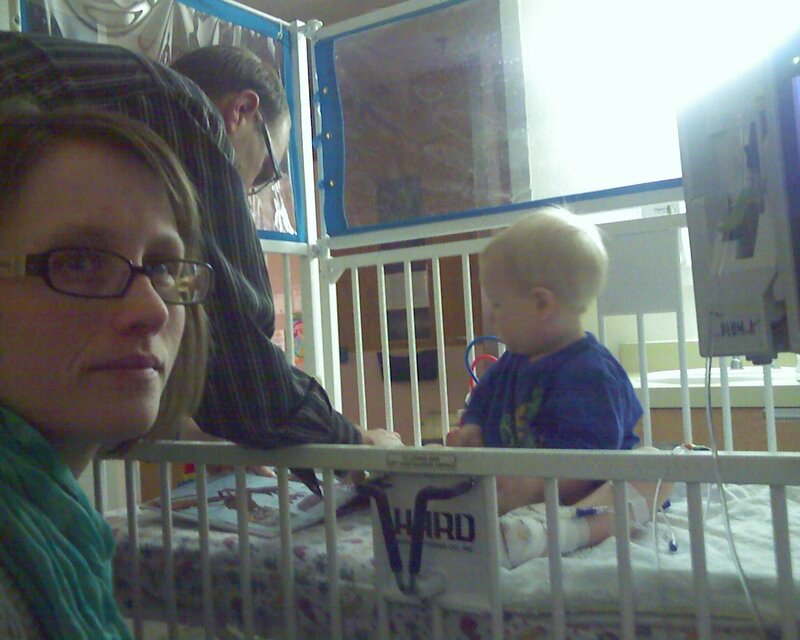 I had barely gotten home when I was in another whorl wind… of the sick child kind. Baby Boy had developed a lymph node infection and although they are nasty to look at (swollen neck) they aren’t usually dangerous. He had been put on antibiotics (heavy i.v. doses each day) and I was told he would be fine. Well keeping the i.v. in was hard for my man while I was gone and eventually they decided they should drain it to make sure it heals faster. We where off to the hospital for a 13 hour wait for the surgery and eventually it happened at around eleven in the evening. He did fine going in and the surgery was quick but he was a furious mess waking up from being put under. The two nurses couldn’t handle him physically and so we decided to just take him home before he was completely with it again. He calmed down as soon as we left. Days of almost no sleep and no eating followed. We found he was having fever and stomach pain from the antibiotics he was still on so the surgeon let us take him off (they where just a precaution thing once the surgery took place). He was very soon happy and eating after that. The gauze and i.v. where finally gone on Thursday and he has been happier by the day. Although the lump is still there (will take a few weeks to go down) he is back to being a trouble maker. I guess this is unexplainable kinda thing and although doctors see it a lot it doesn’t happen to kids a lot or repeat with a child, of that I am thankful. I have been making a real effort to not get overly stressed lately. Before my trip I was having lots of physical pain due to stress and I knew something had to give so I hope it is my pride that has broke and I can continue to give it all to Jesus. I feel like a lot of stuff has been crashing in lately but I am full of hope that I am no longer sinking. So I am hoping things will be happy and calm around here again soon. We are having beautiful weather and so I am spending lots of time outside. Today it will be HOT so Baby Boy, Little Woman and I are going to go do some yard work before it is unbearable. Breakfast in the hotel again and then lunch at the ‘Olive Garden’. We had been told we HAD TO check it out by a few people and it was all they said! Bread sticks and salad and fresh made mushroom ravioli in cheese sauce made us both very happy! We stopped in a Vegreville, not to just get these pictures but to also see Mirelle’s brother and sister in law as well as aunt and uncle. 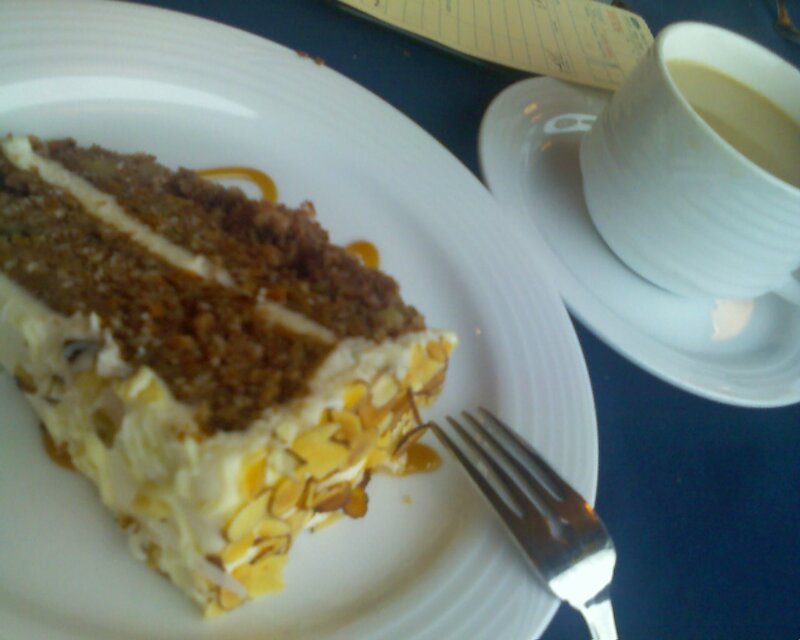 Some great coffee and cake and we where on our way home. We made a few stops but both of us where pretty happy to be heading back to our men and our kids. It was ALMOST an uneventful drive home… but… we stopped for coffee and Mirelle spilled hers all over the drivers seat. Jokingly she said it was now my turn to drive and for a second I thought she was serious. Well off to the near by Walmart we went on a hunt for towels. While she found a deal I managed to find each of my kids a toy! PHEW! It was nice to have something for them! Who knew Mirelle would end up with some nice new towels this trip? He he he, she sure didn’t plan on spending money on that! Our big adventure ended with rain and us trying to get everything inside quickly. A hug and a smile and Mirelle had dropped me off and was heading home to her family. Reality hit quickly and hard as I soon found out my littlest baby was sick and needed surgery on Monday… It just made me realized how relaxed I had really managed to be on my trip… a big accomplishment for me as I am not the relaxed type. We found a treasure right at the end of the day. After trying to find a sit down restaurant with no wait time (due to wanting to make it to a movie on time) we decided to check out the food court. I was so thankful we did! There was a CREPE place! Any of you who know me well know I have a thing for crepes but I had never had them this way before and will have to go back every time we visit this city in the future! Mine was full of bananas and strawberries, whipping cream and chocolate, YUMMMMMMMM! We where all very happy with this kind of supper and even the next day we where still talking about them! There was time to explore some more before the movie. Earlier in the day we had gotten tickets at the famous DRAGON theater in the mall. We stayed to watch the dragon and I found it amazing how hot the flames really where, a little much for me.